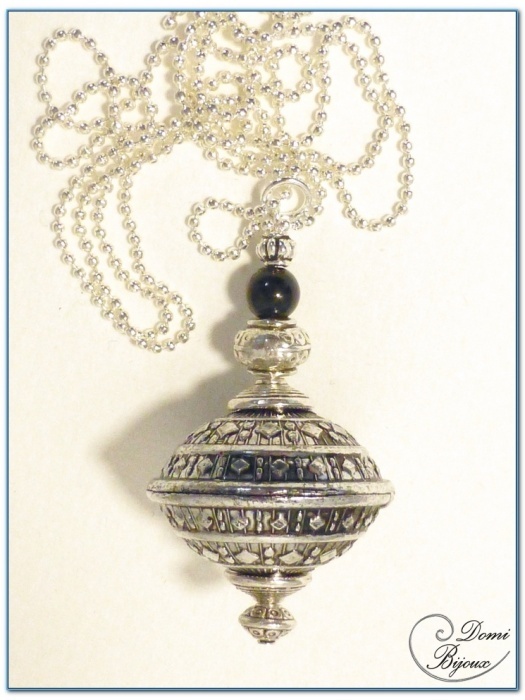 Fashion necklace silver finition with a 30mm diameter filigree metal ball. This fashion necklace silver finition is made with a 30 mm diameter filigree metal ball, mounted between caps and metal balls, surmounted with a small onyx pearl. 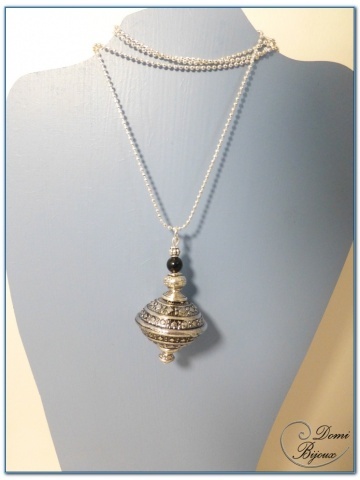 Well done,this pendant inspired by indian jewels is mounted on a 60 cm length chain. The metal used for this necklace is nickel free, so there is no allergie. 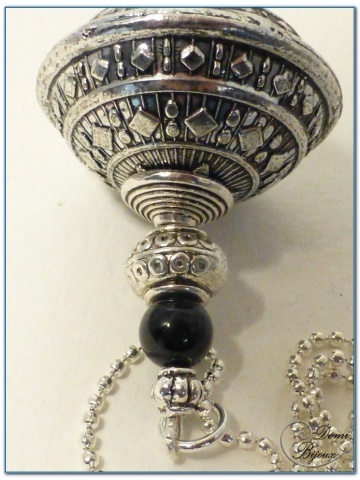 Hand made as all our jewels, this necklace will be delivered in a cloth pouch to store it carrefully.